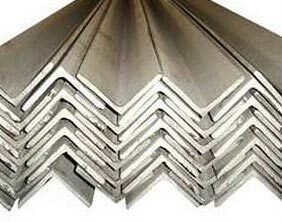 Hitesh Steel is one of the leading Manufacturers and Exporters of Stainless Steel Angles that are made from high quality Stainless Steel. Owing to our Stainless Steel Anglesâ�� premium quality they are used in various industries. 100 mm x 100 mm x 12 mm Thk.